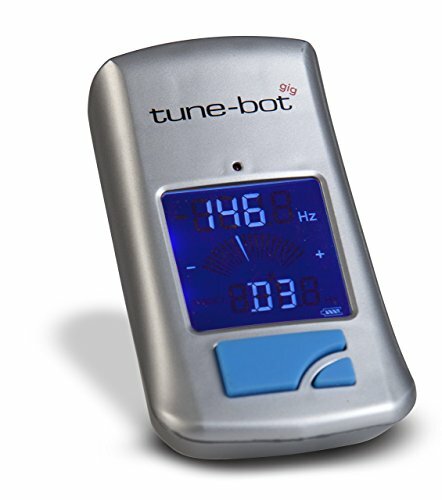 The Tune-Bot Gig is a digital tuner for acoustic drums and is the fastest, easiest and best way to tune your drums. With the Tune-Bot Gig anyone can tune like a pro. Quickly tune acoustic drums. Toggle through each mode with a single button. Match lug pitch or tune to a note. Large LCD screen optimized for use in the studio or on a dark stage. Clips to any standard drum hoop. If you have any questions about this product by Overtone Labs, contact us by completing and submitting the form below. If you are looking for a specif part number, please include it with your message.